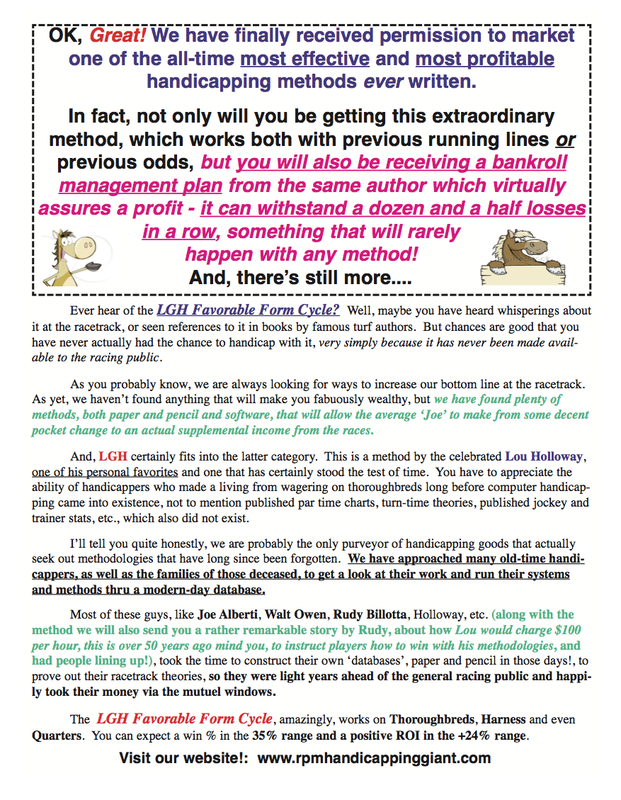 The LGH Favorable Form Cycle!! Holloway’s Greatest Winning System EVER!! 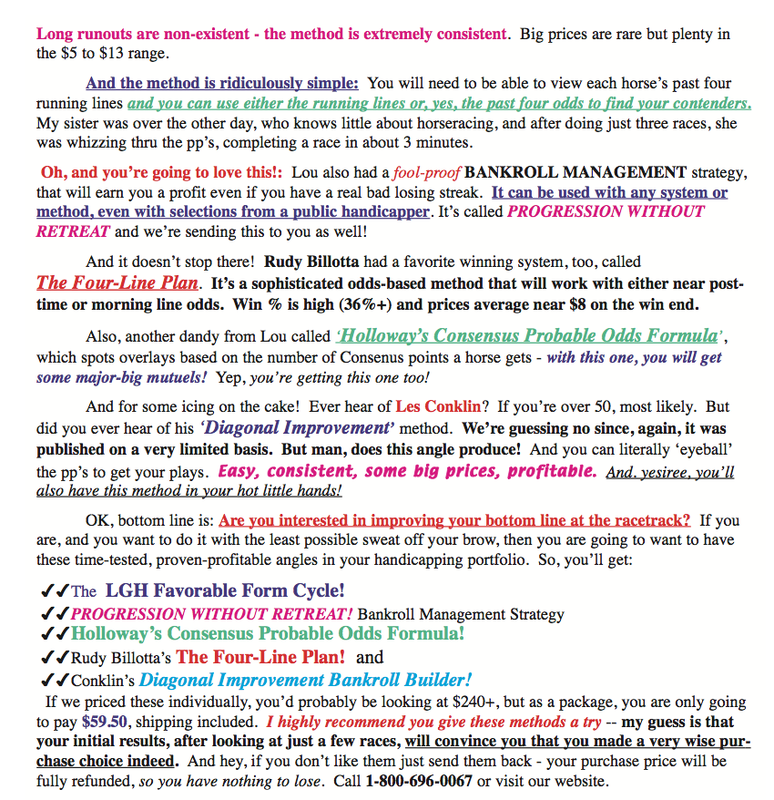 Editor’s NOTE: Saying that Lou Holloway is the Greatest Handicapper of All Time is not at all a ‘stretch’. In fact, many professionals today, including the likes of Andy Beyer, owe much of their success to Lou. So here’s an offering, one that contains not only Lou’s genius, but great winning knowledge from Rudy Bilotta & Les Conklin as well. Very reasonably priced – Get Yours Today! !